Debris and bodies from missing AirAsia flight QZ8501 have been discovered at the Kalimantan coast, several news sites have reported. 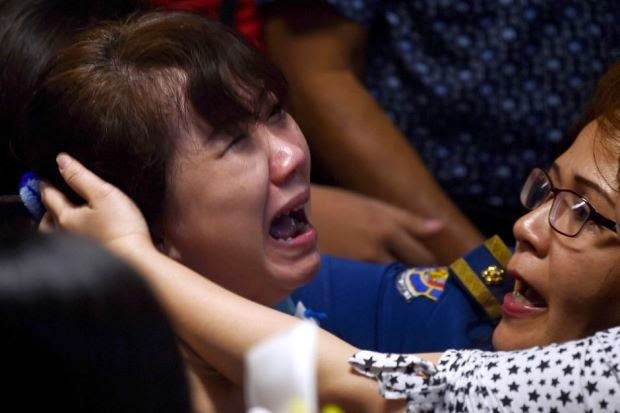 According to The Star, devastated relatives of those on board the plane, had watched footage of a television feed showing a body floating at sea at a press conference in Surabaya held about an hour ago. Some had turned hysterical, some hugged each other, some burst into tears and a man had even fainted amidst the shock. The footage is believed to have shown the results of the search efforts of Indonesia's National Search and Rescue Agency (Basarnas). 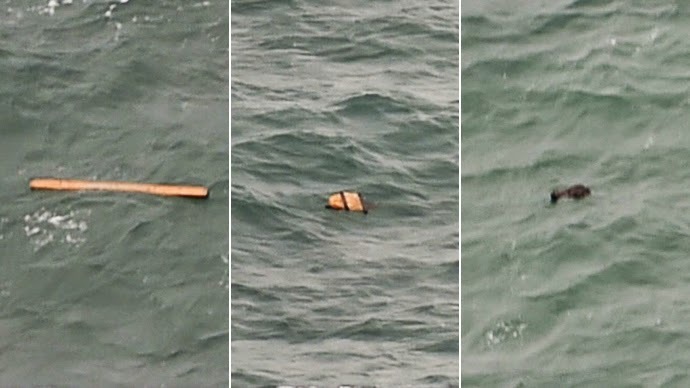 "At 13:25... we spotted a floating object believed to be one of the passengers' bodies." A source close to the investigation who declined to be named, said that plane debris and up to six bodies were discovered this afternoon at Karimata Strait, a wide strait that connects the South China Sea to the Java Sea. The info is still yet to be officially confirmed and revealed by the investigation authorities. AP news reports that several of the bodies were found swollen, but are still intact and did not have life jackets on. The debris was found only 10km from the last known position of the AirAsia plane before it lost contact with ground control. For earlier reports, click HERE.